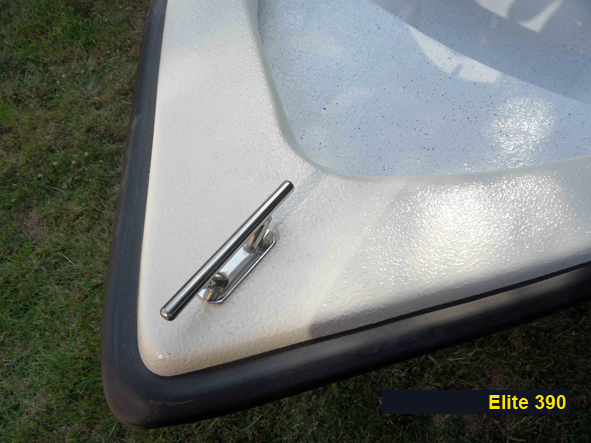 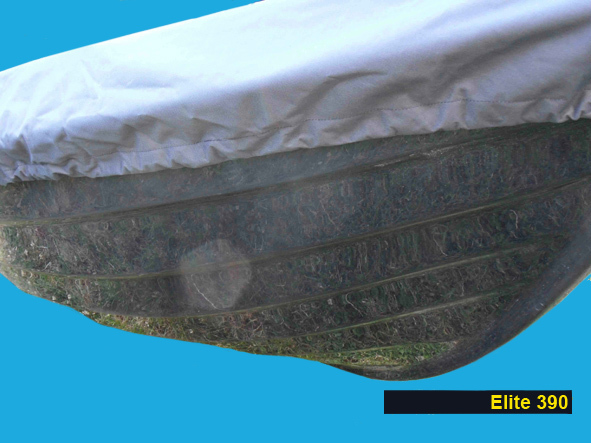 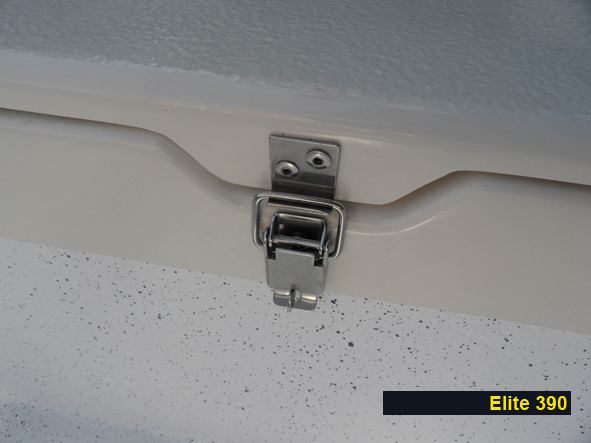 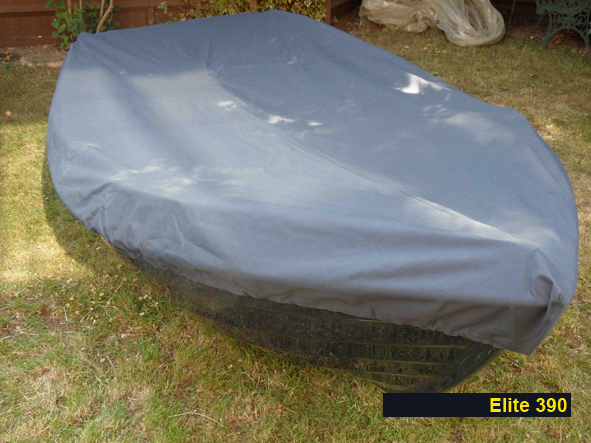 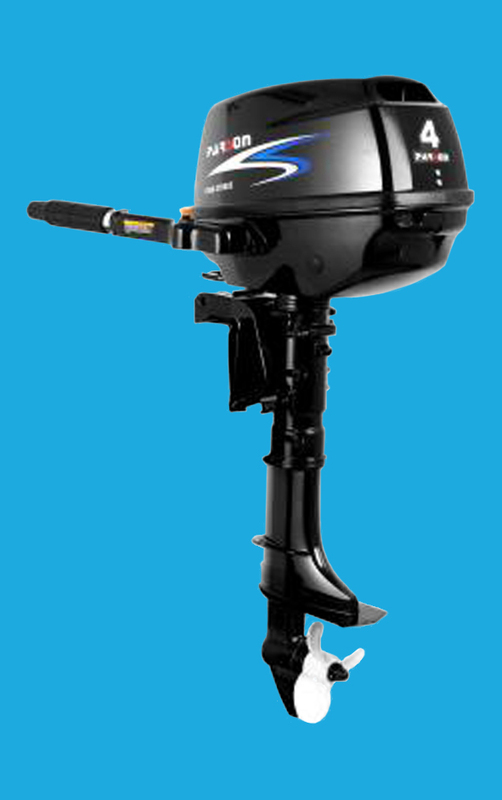 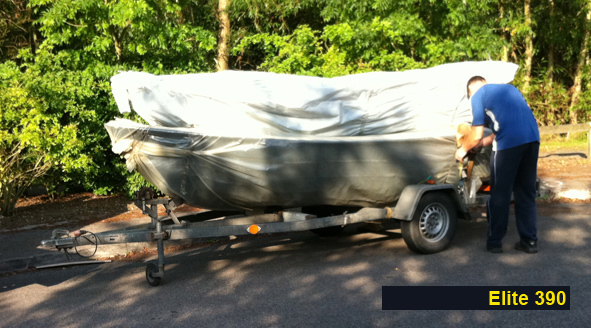 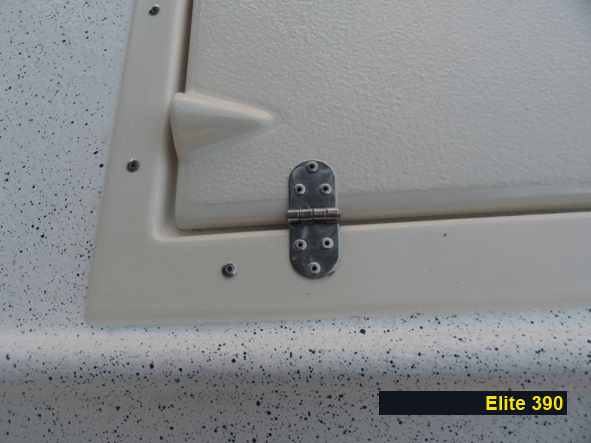 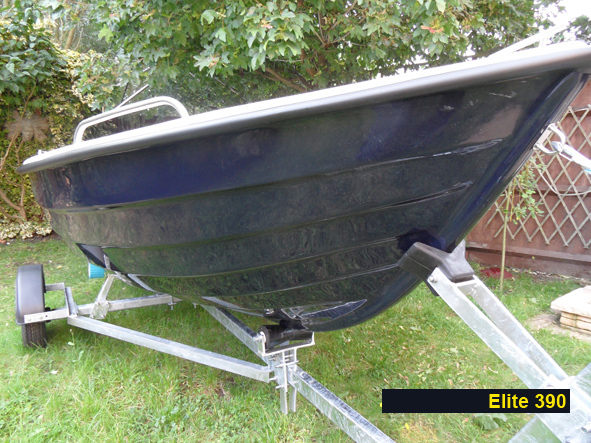 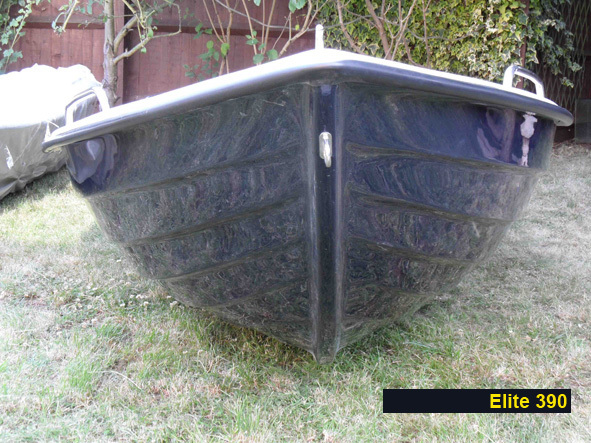 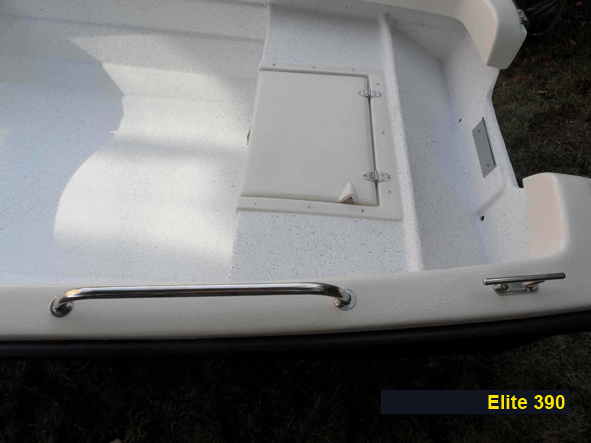 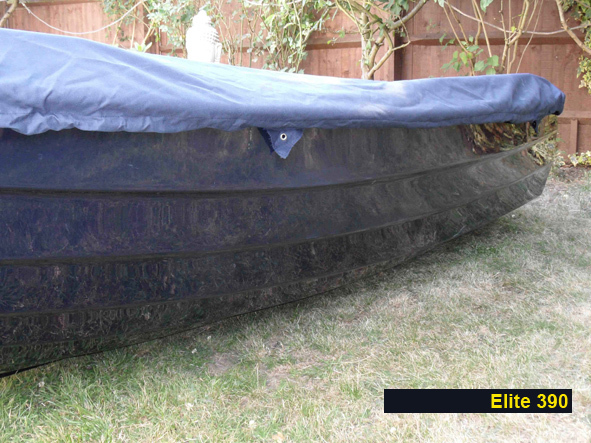 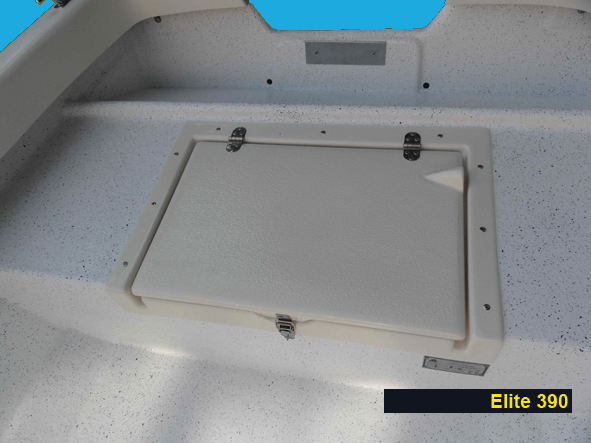 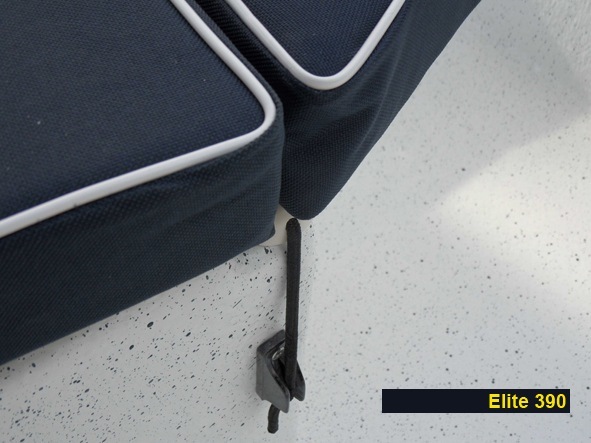 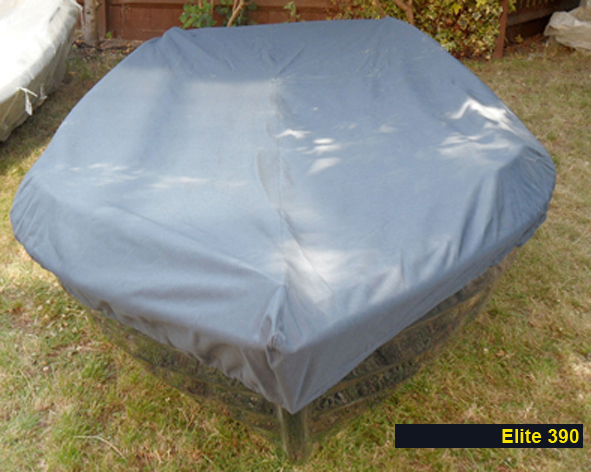 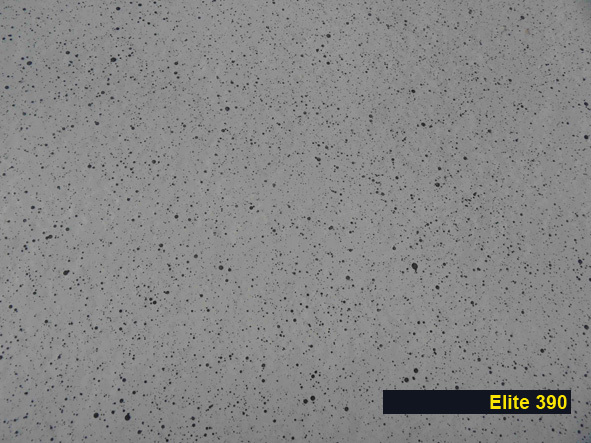 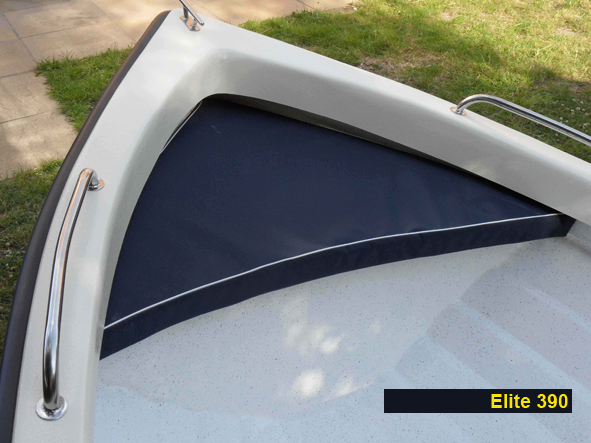 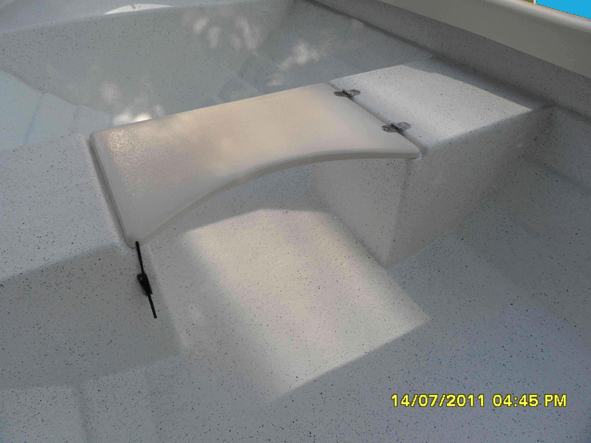 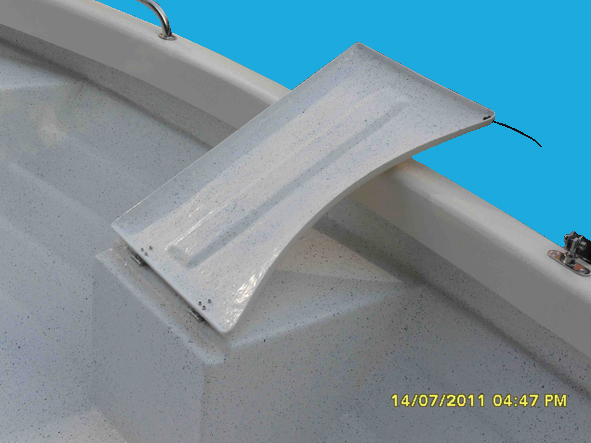 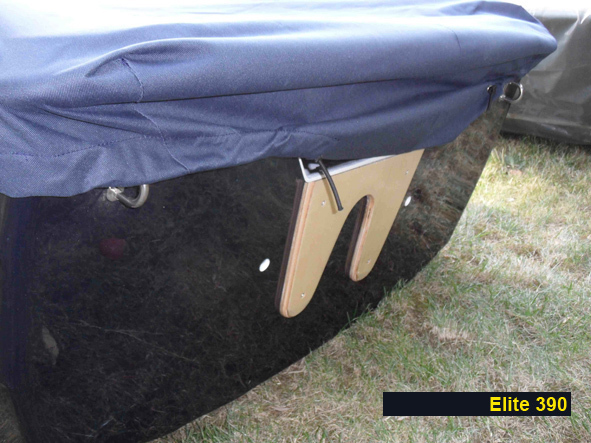 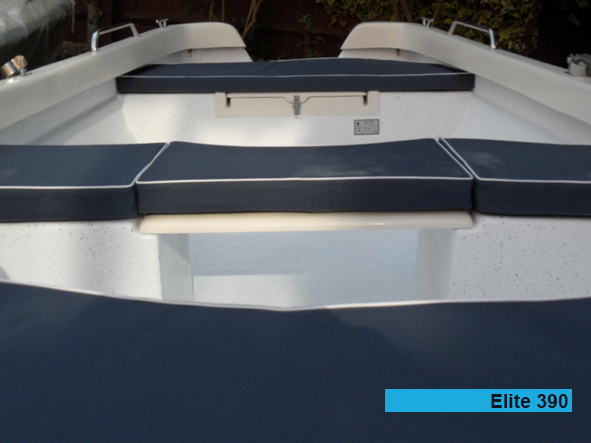 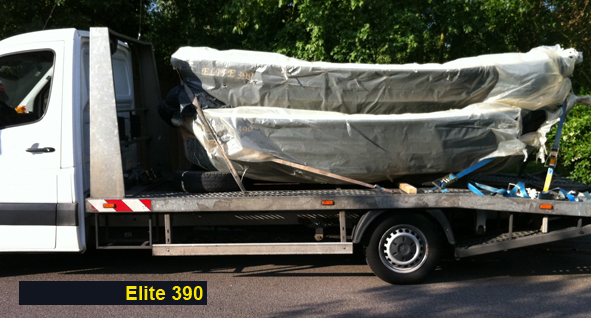 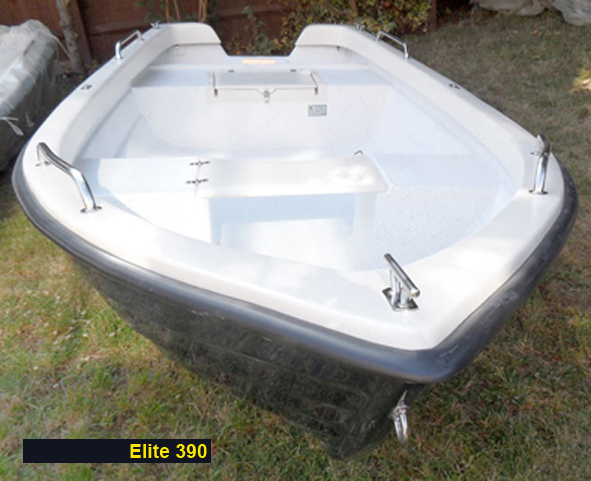 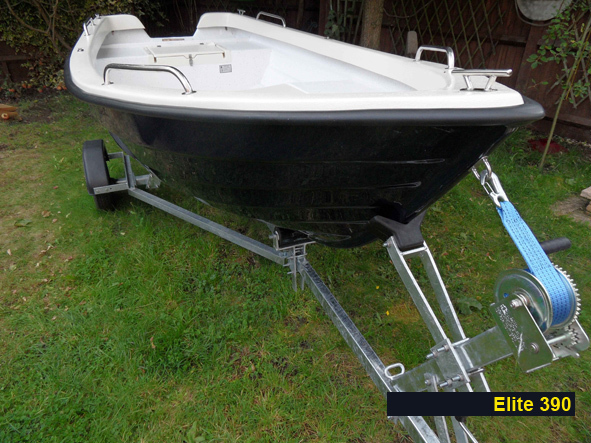 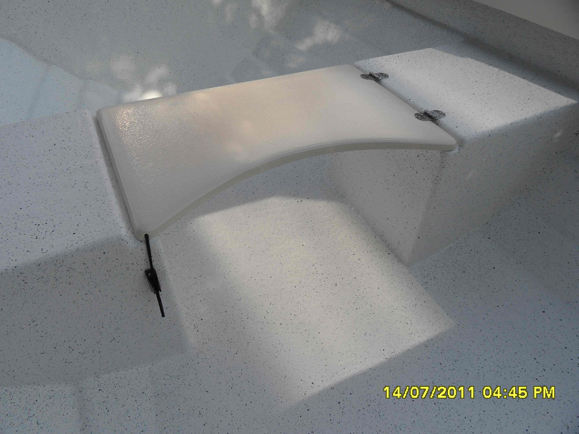 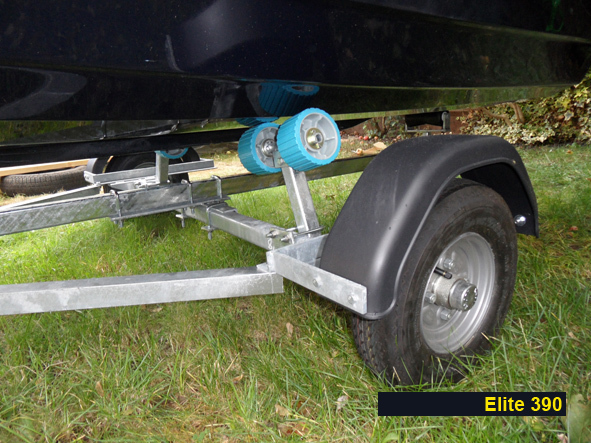 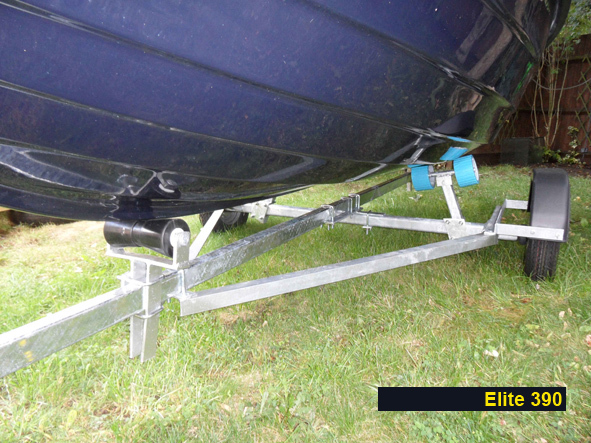 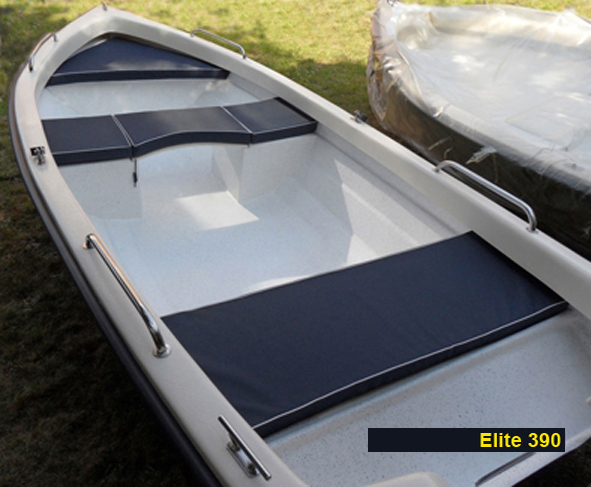 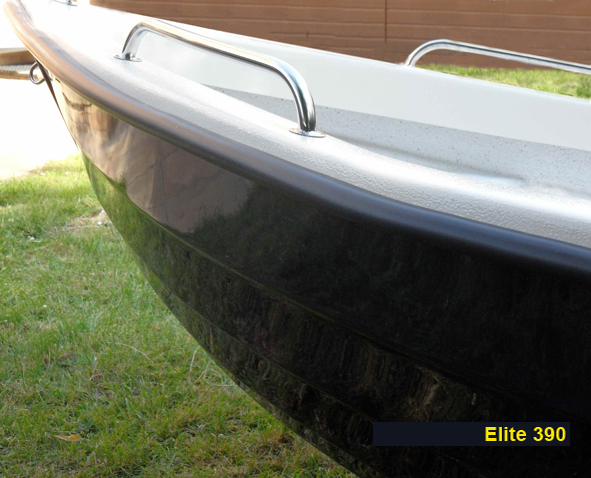 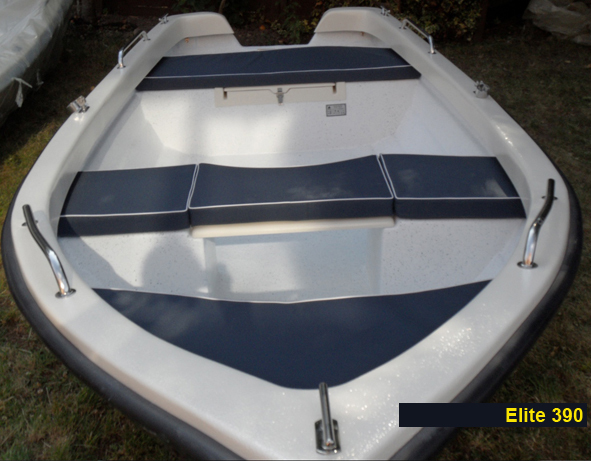 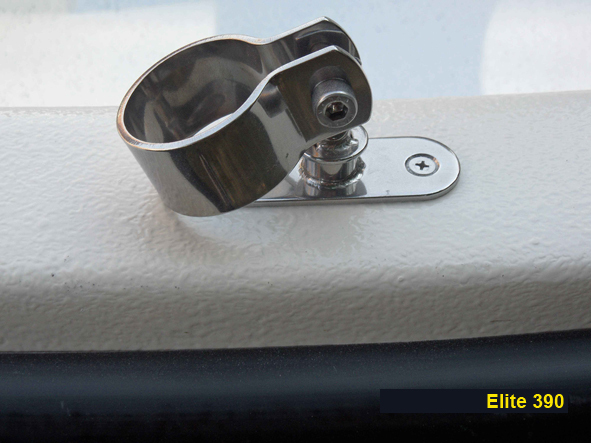 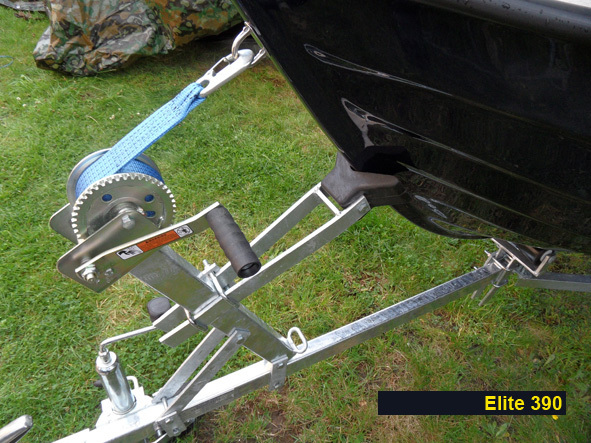 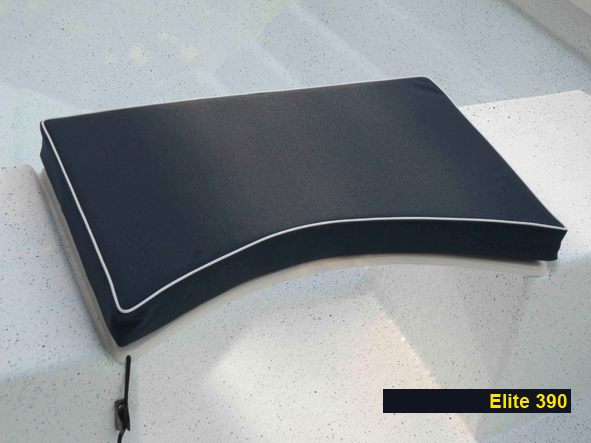 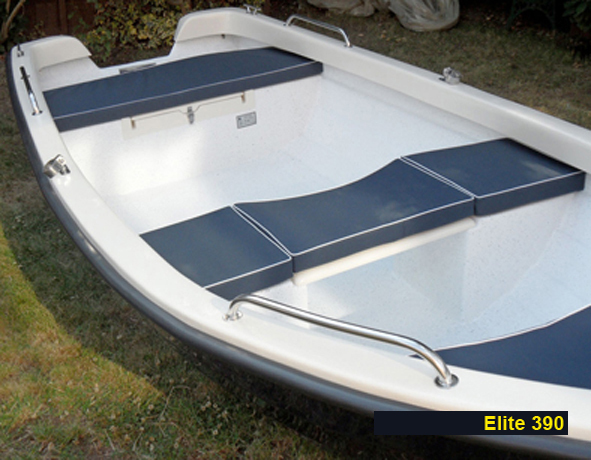 Welcome to our gallery, here you will find pictures of our new ELITE 390 open/day/fishing/outboard/rowing boat. 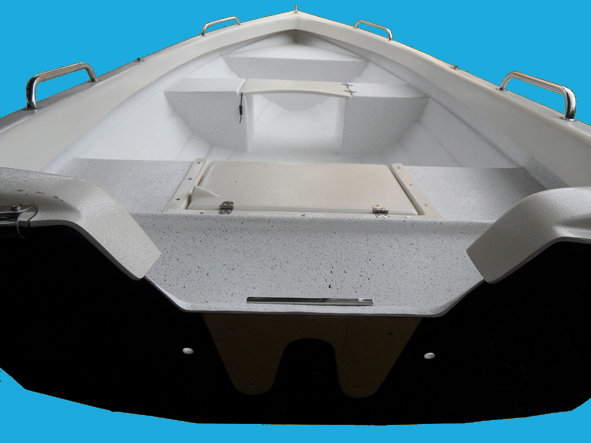 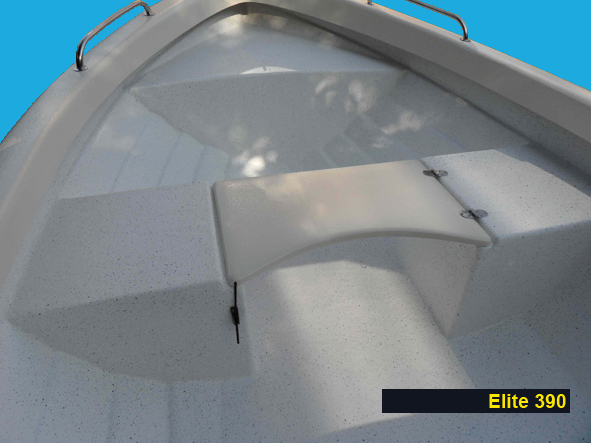 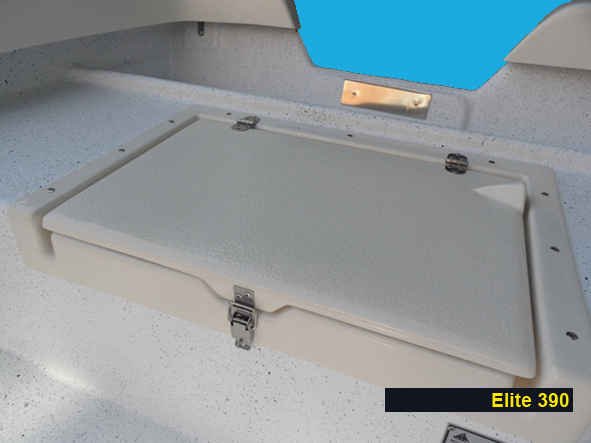 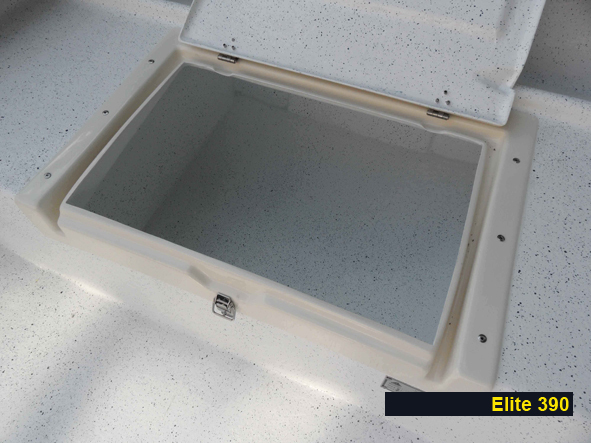 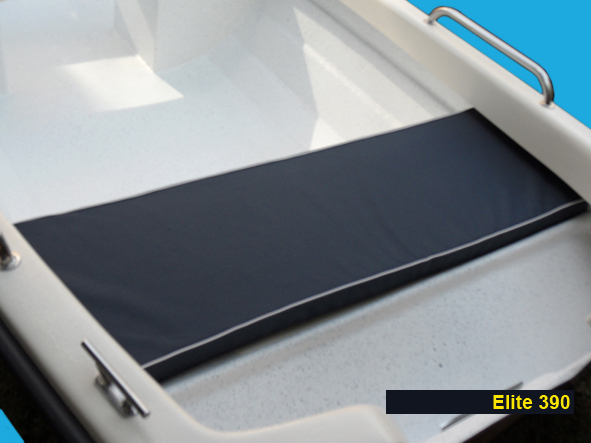 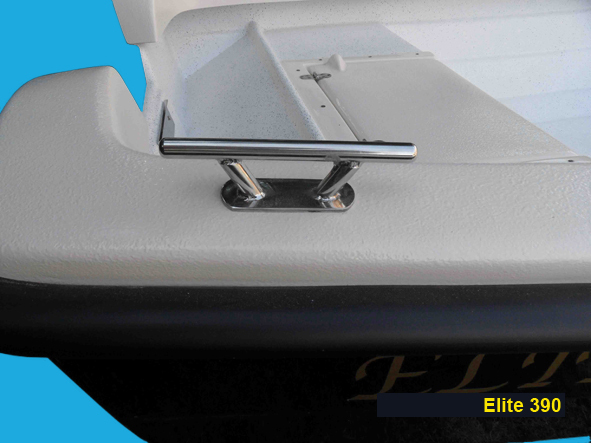 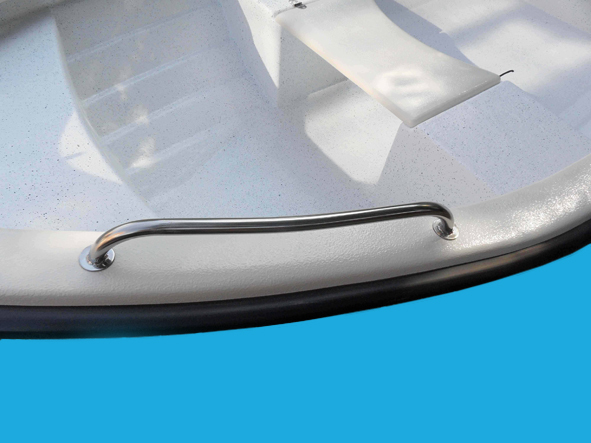 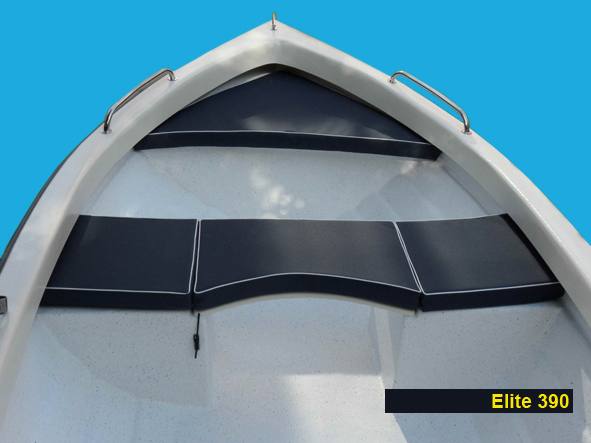 With innovative features such as lifting centre seat with a flat double skinned floor beneath, a large rear hinged locker with fuel/battery cable vent built in and quality euro style rowlocks she is an elegant yet very practical boat and easy to maneuver around. 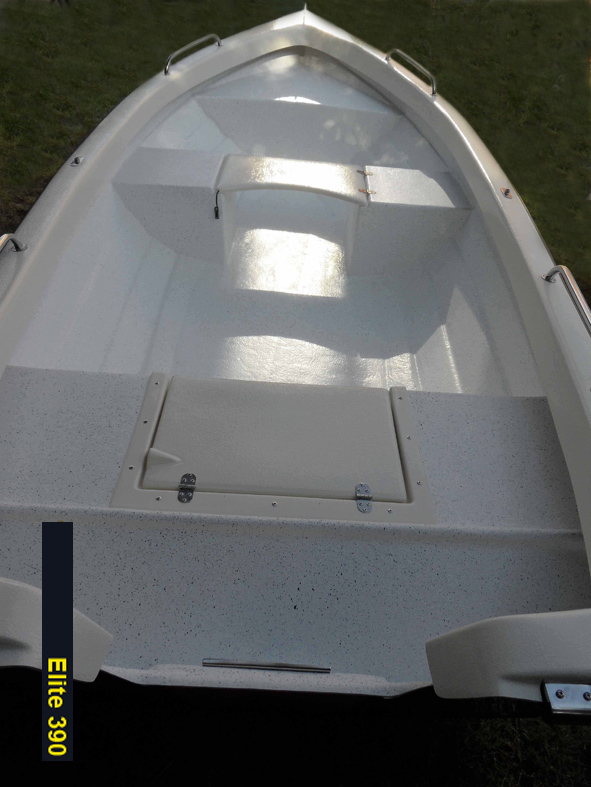 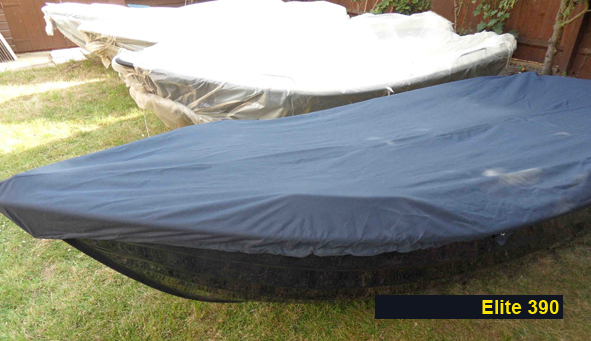 At 13 foot (3.9metres) she is a real step up from the usual 8 foot - 12 foot dinghies, and with a fully piped quality 5-piece cushion set, heavy-duty storage cover and practical stainless-steel handrails and cleats she is a very complete and competent craft. 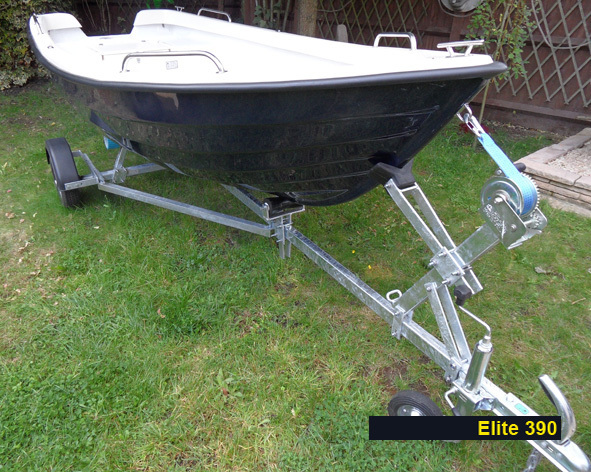 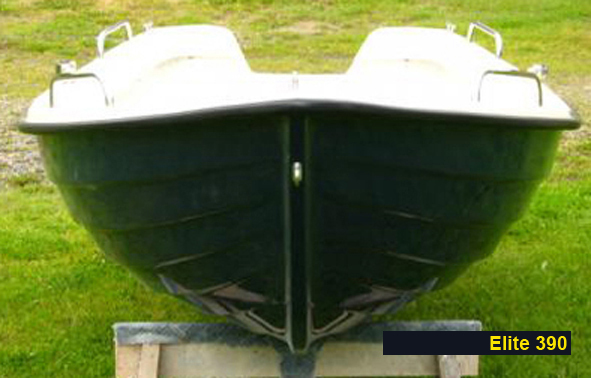 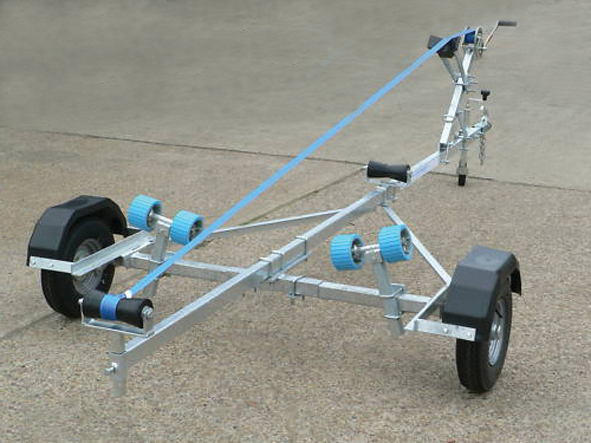 Fully CE approved, for a total crew capacity of 500kg and max outboard of 10hp she is perfect for lakes, broads, rivers and light estuary work. 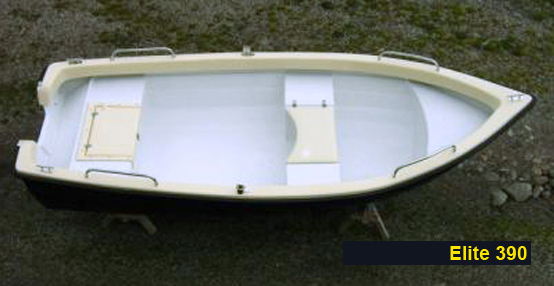 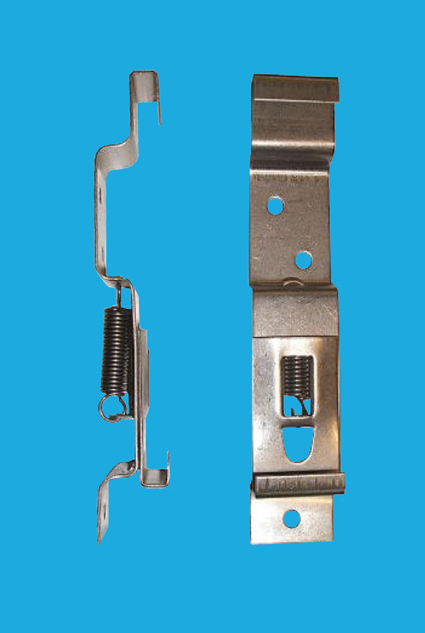 She has a raised bow, pleasing subtle simulated clinker design with a sharp V bow tapering of to a virtually flat rear for greater stability underway and also when anchored.